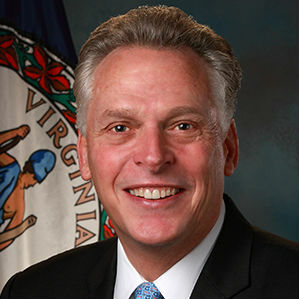 Governor Terry McAuliffe announced the award of three planning grants from the Governor’s Agriculture and Forestry Industries Development (AFID) Fund. The Commonwealth awarded a total of $64,000 to projects by Floyd County and the New River Valley Regional Commission to support the growth of agricultural and forestry industries in the Commonwealth. The AFID planning grant program encourages local governments to promote agriculture and forestry and incorporate the needs of these industries into their overall economic development strategies. The AFID planning grant program has awarded $754,650 in AFID Planning Grant funds to 37 projects covering 57 unique localities across the Commonwealth. The planning grants are part of the Governor’s AFID program, an economic development tool for agriculture and forestry value-added or processing projects. AFID planning grants are available for political subdivisions of the Commonwealth who have expressed interest in growing or developing their agriculture and forestry industries by strategically targeting practices or integrating practices that add value to Virginia grown agriculture and forestry products. The Virginia Department of Agriculture and Consumer Services (VDACS) administers the AFID program and planning grant applications are accepted on a rolling basis throughout the fiscal year. Successful funding requests must demonstrate a clear need, a proposed solution, strong support from local government and the agriculture and forestry community, and the ability to provide cash or in-kind matching funds. Summary Floyd County is implementing an initiative to assist its county agriculture, food and forestry based businesses to achieve greater sales, income, and employees. This multipronged effort includes surveying local businesses and assets in this sector to identify needs and opportunities, creating a Floyd brand, providing direct assistance to new businesses, and researching options for an online store of made-in-Floyd products. Summary Agritourism is an important part of Virginia’s agricultural economy. Understanding its economic impact to the Commonwealth is critical to sustaining and growing support for this industry. There is significant interest among the industry and its partners for a new study to be conducted and shared at the 2017 Virginia Conference on Agritourism. The purpose of this study is to measure the economic and fiscal impact of agritourism in Virginia. The study will be conducted by Virginia Tech. Summary New River Valley Regional Commission is leading an effort involving Montgomery County and Town of Blacksburg to redevelop the former Prices Fork Elementary school site to create new mixed income rental housing and a center for food entrepreneurs. Over $1 million in grant funding has been secured to convert approximately 4,000 square feet of the school building into a kitchen, local food restaurant and retail area that could be used to sell foods prepared in the kitchen. The project will help the Old School Food Center define the Center’s target markets and their specific product/service needs in order to develop a sustainable business model, appropriate kitchen design, and business incubator training curriculum.